A Florida mother is facing charges after cops say she left her two young kids in a hot car while she drank in a bar. 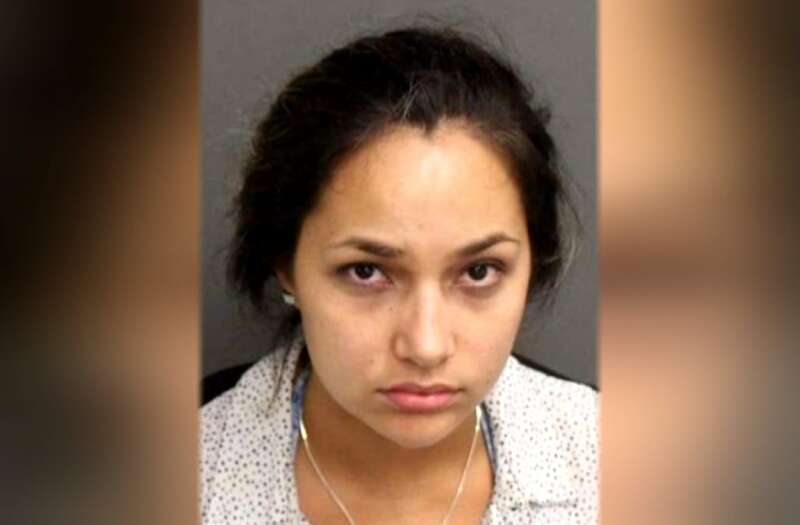 Larissa Rivera of Kissimmee was arrested Sunday after cops responded to a 911 caller who reported a mother intoxicated in an Orlando bar while her kids sat outside in a car. "She is drunk — the mother is drunk," the caller said. "I opened the driver side rear passenger door and was greeted with a little girl (approximately 5 years of age) crying hysterically," an officer wrote in an arrest report obtained by WKMG. "She quickly calmed down once fresh air came upon her." A boy, who police believe is about 3 years old, was also in the vehicle, according to the affidavit. Both children were sweating and hot to the touch, police said. The air conditioning was not on, and the children did not have water. While the 911 caller told the dispatcher the children had been left alone for an hour, Rivera reportedly claimed it was closer to a half hour. Rivera told WKMG she'd left the air conditioner on and the car running after she and her children ate and she put them in the car to sleep. She said she checked on them every so often and turned off the car when they complained of being cold. The officer said Rivera smelled of alcohol and repeated herself as she was questioned. She was arrested and charged with two counts of leaving a child unattended in a motor vehicle.